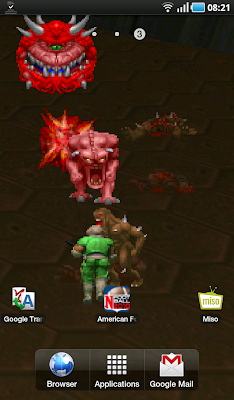 The first doom was a milestone in the 3D-shooter genre. 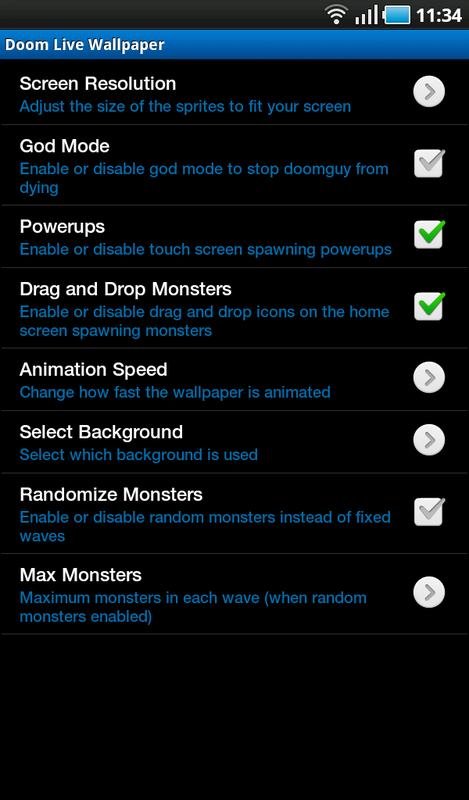 Now you can get the feeling on your Android as a Live Wallpaper. The brave space marine shoots and splatters the enemy demons all over our Android-background. It even scales for tablets. 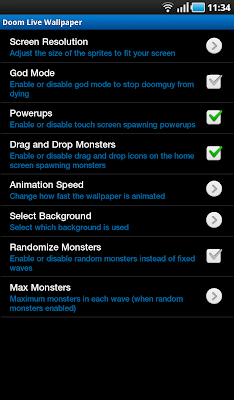 You can set many options in the preferences like the resolution, no. of enemies, god mode and power-ups. You can even interact by tapping on the screen. This puts random stuff up, which the hero can use to get new weapons or energy. So be nice and keep watching your live wallpaper. You won't let your space marine die, won't you? Get it from AppBrain, or scan the QR-Code with your Android device.